Woohoooo today I have a dear friend who celebrates her birthday and this is the card I have made and sent her. 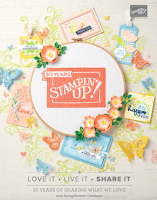 Once again the Sew lovely/ Sew Sweet stamp set from the mini catalogue from Stampin’ Up! has won my heart and decided to use it for todays card. I love the bright feel of this card. I have started with a A5 card blank in Basic Gray. I used the bobbin from the set to add a tone on tone pattern to the top half of the blank. Next I took a piece of Melon mambo card measuring 9cm x 10.5cm added a scallop border on both sides and ran it through the Vintage wallpaper embossing folder and the Big Shot. A strip of Daffodil delight ribbon was edged with the same scallop punch and offset behind the first row, this created a really nice visual effect. For the main panel I took some old olive card cut at 6.5cm x 6.5cm then a whisper white panel cut at 6cm x 6cm. I stamped and pieced the sewing machine and using a ruler and the mambo marker pen a drew my cotton around it. I cut a slit at the bottom of the machine big enough to allow me to thread some white satin ribbon through. Before I adhere it to the back I stamped my sentiment on it in black ink. Now if you tried stamping onto your ribbon and all you got was a mess you want to spray your ribbon with some hair spray before you attempt stamping onto it, it works like a dream . You do need to let the hairspray dry first though. I used some scraps to stamp the manikins on cut them out and popped them to the side of my focal panel. Finished off with a old olive narrow grosgrain bow. HAPPY BIRTHDAY Rebecca hope you’re having a fabulous day !! thank you for stopping by see you again tomorrow. I love this idea of the text going out the machine!!! Very beautiful! What a gorgeous, bright, happy card! I love the Basic Gray card base, and the super-clever way you've created the sentiment, Monica. Great tip about the hairspray, too - thanks! 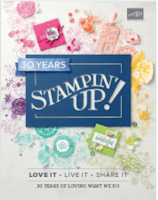 I have fallen in love with this stamp set especially after our class and yet you still come up with a stunning design. How clever is this, I love the idea.